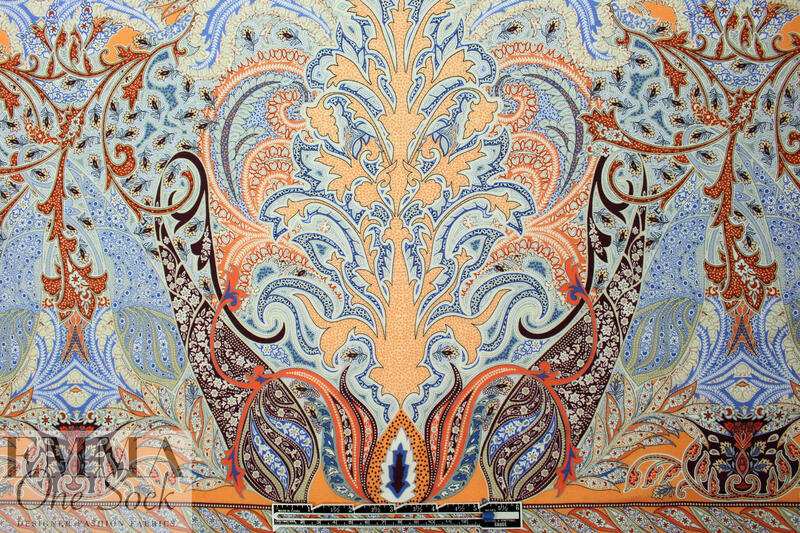 Our supplier is trying to locate more of this fabric. Right now it's in limbo land! 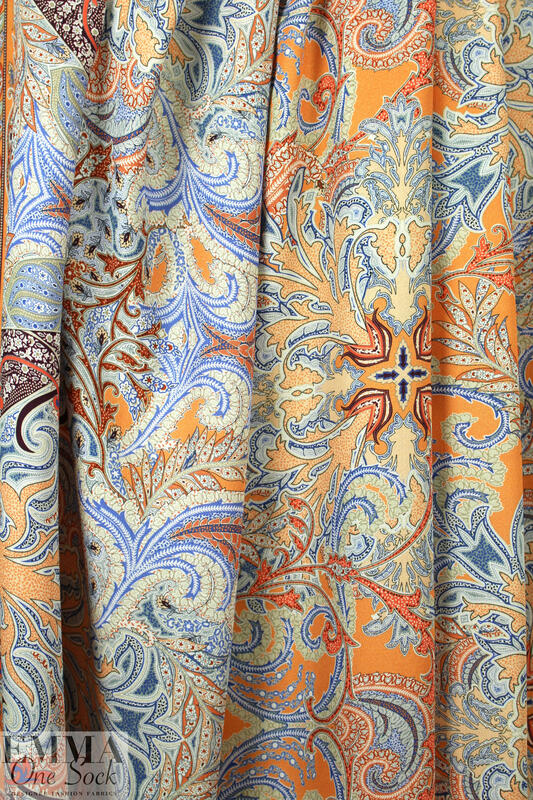 The flat photos of this fabric are shown with the selvage across the bottom of the photo, while the draped photos show the fabric as it comes off the roll. 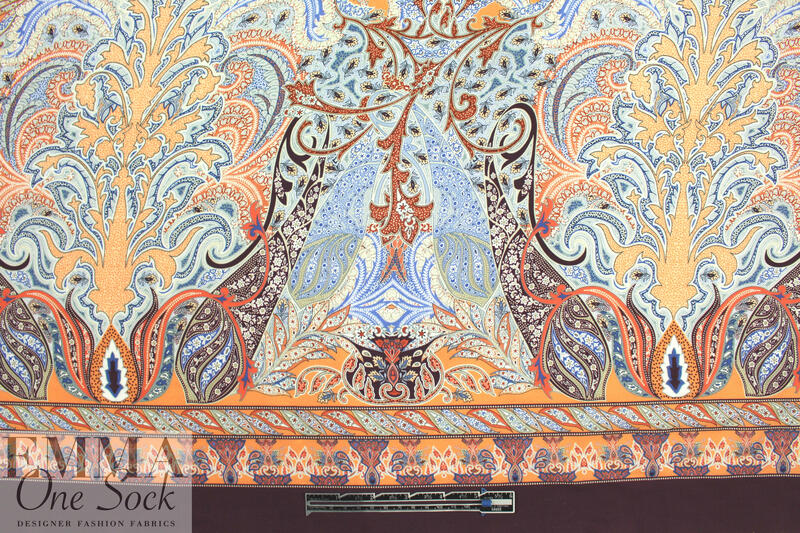 This gorgeous printed viscose drapey woven, lightweight and semi-opaque with a soft drape and a very subtle crepey texture, has a beautiful paisley medallion design with a 16.75" vertical repeat and a decorative border along one selvage. Most likely your garment would be cut across the grain, so that the border is at the hem, but it could also be cut with the grain, to create other interesting design options. The colors include peach, tangerine, french blue, plum, taupe, gray and soft white (PANTONE 19-1716, 15-1245, 17-1462, 17-4037, etc). 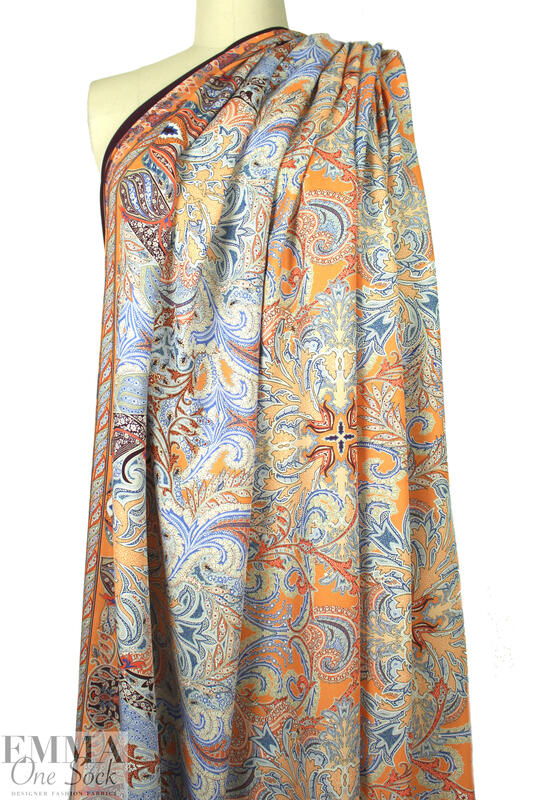 Perfect for a blouse, shirt or top, tunic, dress or skirt (some styles may need lining). Dry clean, or please test first if you wish to hand wash, and hang to dry.